Before beginning my review of the National Portrait Gallery’s first-class survey of Lucian Freud’s portraits, I want to tell a story that could not have been printed while the artist was still alive. About 20 years ago, I found myself face to face with a madman. It happened after a West End gallery opening, when my wife and I stepped into a taxi provided to ferry guests to dinner at the River Café in Hammersmith. As we trundled along in the company of three complete strangers, I tried to break the ice with some utterly banal conversation. Without warning, one of them took offence at something I’d said (I had no idea then and have no idea now what it was) and started to scream at me, his face contorted with rage, his fists clenched as though he was about to use them. Everyone in the taxi froze. We listened in silence until he was through. At last the cab stopped, he jumped out, and without a glance behind him disappeared inside the restaurant. Then one of the other passengers spoke. “Don’t take his invective personally,” she explained. 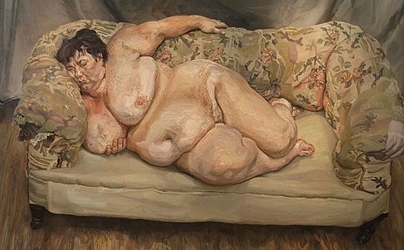 The man had been one of Lucian Freud’s regular models until a few months earlier, when without warning the artist had dropped him, refusing to see him or take his calls. Devastated, his life spiralled into chaos, with the result we’d all just witnessed. Whether there were good reasons why Freud no longer used this particular model, I can’t say. But over the years I’ve heard a number of accounts by those who knew, sat or worked for Freud, and they all describe the same arc of experience: the intoxication of being swept away by his charm and wit, followed by deflation when their services were no longer required. Freud’s death at the age of 88 in July of last year will change what we know and think about the man and his art. Monographs and memoirs by close friends and admirers eloquently attest to Freud’s personal charisma and visual intelligence – but all were published with his approval. Still to come are the accounts of those who were scalded by their encounters with him. When enough time has passed and some future biographer is able to write openly about the dark side of Freud’s genius, we will see that his was one of the most interesting lives of the 20th century – in fact, the only artist’s life that will give Picasso’s a run for its money.